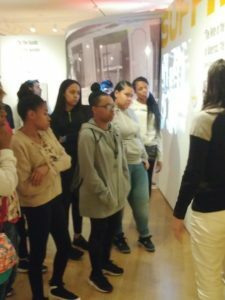 Museum of the City of New York– The Journalism enrichment group took a stroll to the Museum of the City of New York this week to learn a brief history of women’s suffrage in New York. The guided tour spanned a period of more than 100 years from the early marches to the Me Too movement. 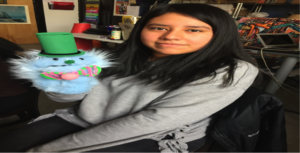 Puppets with a Purpose–Arlene Calderon presents her creation during “PSA: Puppet Builder’s Workshop” during Enrichment Week 2018. Innovation High School–Interviewing the “PSA and Puppets” kids I gathered detailed and inside information on what they do and what goes on inside their enrichment. I interviewed three people David, Arlene And Henry asking them questions and getting their feel on PSA and Puppets. 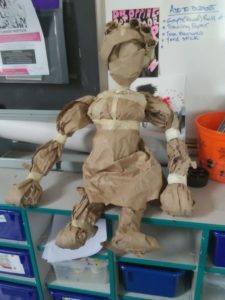 Three students gave their insights on their experience making puppets and using them to make PSA’s . David feels the purpose of his enrichment is “Learn how to be creative and be able to present/show a message” Arlene believes the purpose is to make PSA. Here in this enrichment, they use their puppets to make these PSA’s and show messages. They also learn about “gentrification”, which is the process of improving a house or district so that it conforms to middle-class taste. Henry believes the purpose is to use his puppets to talk about this issue. “Here are some of the puppets I got to see that they have created, There are two types of puppets they have made these shown the other kind is A Japanese type puppet,” said David. Grandma with a Message– “Abuelita” is a Bunraku- style (Japanese) puppet She is among the several types of puppets made in “PSA: Puppet Builder Workshop” to broadcast the theme of “gentrification”. What goes into making these puppets is “Patience, creativity, an open-mind and team work,” Arlene says, as well as sewing skills . To make the Japanese ones, it takes three people to make it and present it as well. The best part of their enrichment is the goal and message they are providing with the fun materials and that they build as well. Full of fun and a greater purpose to learn, PSA and Puppets is full of surprises! Ms. Smith, a security guard at Innovation High School has been working here at this school for 17 years. Though she has been on the job of a security guard and patrol guard for over 26 years total. 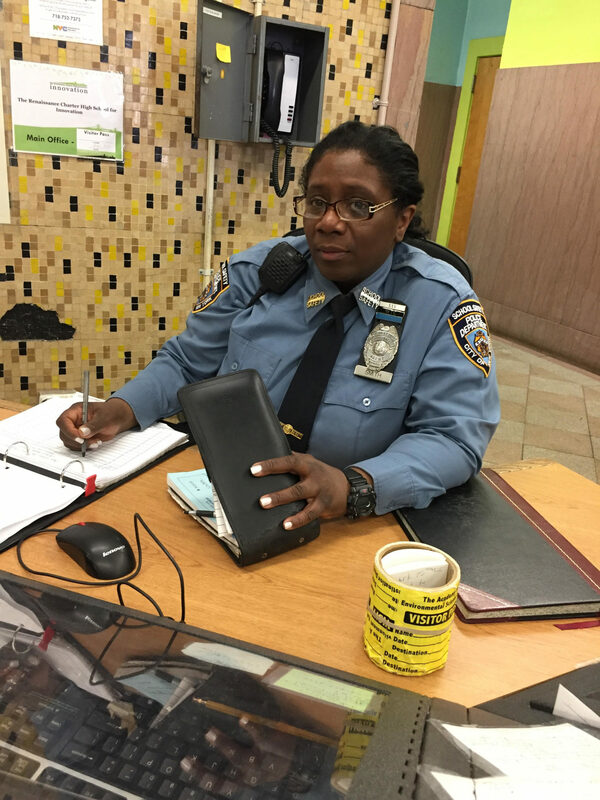 Although she in not one of our resident police officers, she does work in the police department (NYPD)division called “Special Patrol.” Ms. Smith does not carry firearms or a gun even though she is a security guard. As a security guard at Innovation High School, Ms.Smith does many things like routine daily patrol in the school building, and she also gives the students guidance. Her job consists of doing patrol of the hallway, the staircases, the courtyard during lunches and before and after school hours. She does the patrol of the building perimeter and checks the exits are good and all clear. She also helps students around as well as visitors to the building giving them help and mentoring them. All in all, Ms.Smith ensures our safety here at Innovation high school. Ms.Smith Explains to us her most interesting and frightening experience during her time as a security guard over the years. Back in 1992 she started her job as a security guard working at Martin Luther King Jr School in New York City. There she discussed that there were many gang-related incidents and issues in the school. Many were very dangerous to the extent of children bringing dangerous and deadly weapons to school and starting fights as well with one another. Ms.Smith has expressed she was one of the security guards to break up one of those many fights with the weapons involved . She made sure people were safe . On the job, Ms.Smith takes her time to build up connections and good relationships with her colleagues and the students. She respects herself and others as well. She has been doing the job for 26 years giving her the respect and open mind with others. Black Panther Racks up the Stars! When I saw the movie Black Panther, I was contemplating on determining of what it would be from start to finish. 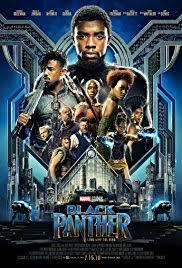 During the movie, there was a scene where I was flummoxed and said to myself “ why are there two people riding the horses as the camera moves to a different perspective?” As the film progressed though, my favorite parts were the warfare between two people who the Black Panther (T’Challa, played by Chadwick Boseman) , and Erik Killmonger played by Michael B. Jordan. The fight between theses two characters was so intense because I was thinking T’Challa was going to be triumphant when he accepted Killmonger’s challenge. I also loved the way the characters had this affable crossed arms welcoming signal. The main characters are Chadwick Boseman the protagonist, Michael B. Jordan (Killmonger) the antagonist, Shuri the sister of Chadwick, Martin Freeman who is the American actor, Ayo who is the head of security for T’Challa’s monarchy. If I were to encourage any other person to view this film, I would recommend it by saying it is for people who love action and humor. This movie would be sure to put a grin on their faces. I would give it an overall of a four star rating only because I really wanted more action to cause catastrophic events of more to take control of Wakanda. 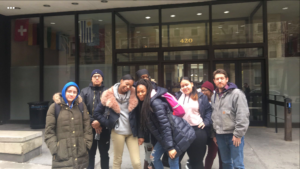 Columbia University–Journalism Enrichment Week 2018 took part in a discussion on “The Media Landscape of Vietnam” at Columbia School of Journalism this week . 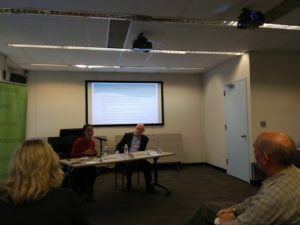 The discussion was co-sponsored and held at Columbia’s Weatherhead East Asian Institute, located within the journalism school campus.The presentation was led by Nguyen Thu Giang, a professor at the Vietnam National University in Hanoi, and moderated by Duncan James McCargo, Visiting Professor of Political Sciences. 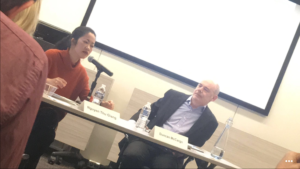 The discussion focused on the burgeoning media presence in Vietnam, and included a history of the country’s media from French Colonialism, post World War 2, and Cold War/Vietnam War, to the present. 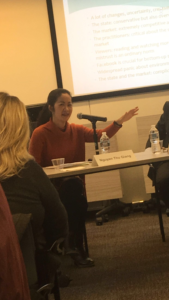 During the discussion, Giang referenced Vietnam’s “Age of Yahoo and personal blogging” which took place between 2001 and 2009. Google and Facebook, she said, are the key digital platforms with no homegrown competition. Vietnamese people are also able to access 200 channels including MTV and HBO. Innovation freshman Laniece Rodgers took the opportunity to raise her hand and ask: “Do you have Netflix?” Giang responded “Yes,” adding that the movies are subtitled. Innovation senior Melissa Lopez said that it would be interesting to do a before and after comparison between the media of Vietnam in the 1980’s and present day. “It just seems like it went from being completely controlled and owned by the government and now it’s all private,” said Lopez.